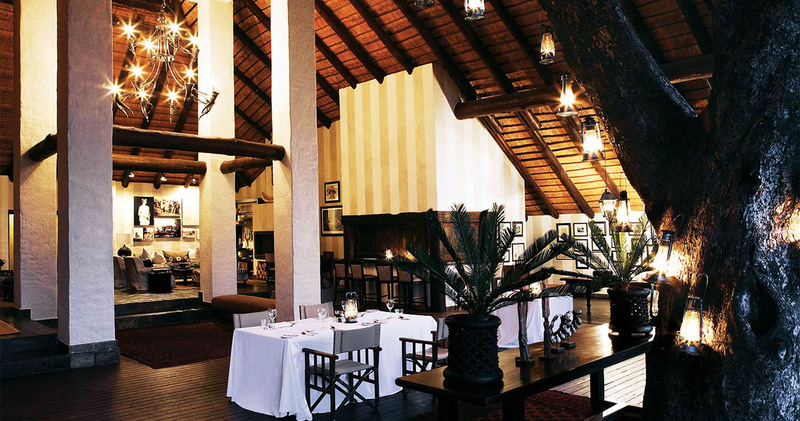 Situated in the central region of the Sabi Sands, sharing unfenced borders with the Kruger National Park, is Londolozi Varty Camp. The symbolic heart and soul of Londolozi, this luxurious family friendly safari lodge lies on the site of the original camp and is raised off the ground under a cathedral of trees, overlooking magnificent riverine bush. Retaining a down-to-earth quality and with an emphasis on family heritage, the interiors at Varty Camp echo the same tone of the owners private homes and their continuing love affair with the earth. 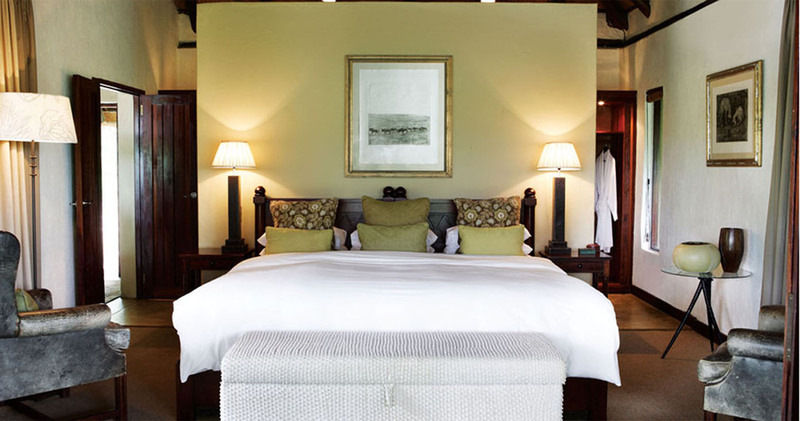 The 10 chalets, including two superior chalets, feature king size beds draped with mosquito nets and 100% crisp white cotton linen, spacious bathrooms with indoor showers and a free-standing bath (superior chalets include outdoor shower), air-conditioning and fans and a lounge with a minibar and tea and coffee facilities. 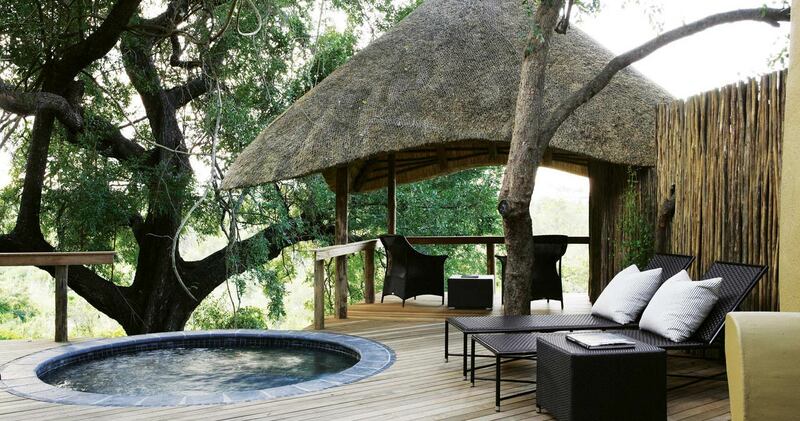 Outdoors, there is a thatched sala and private swimming pool framed by a timber deck, all overlooking riverine bush. 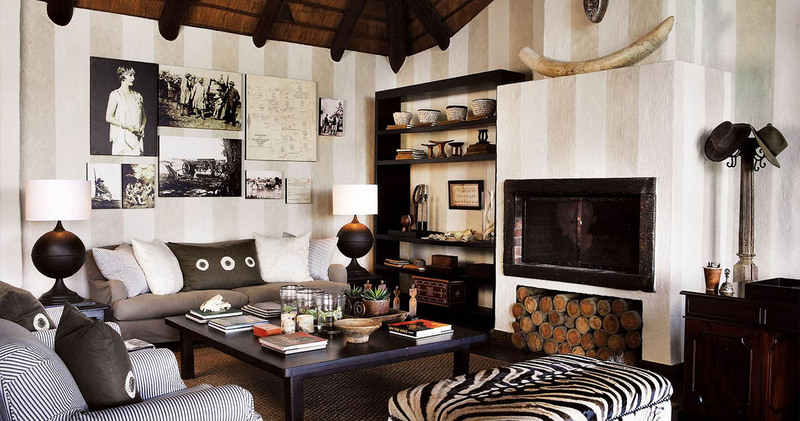 The guest living areas at Varty are raised off the ground under a large, double volume thatch roof. 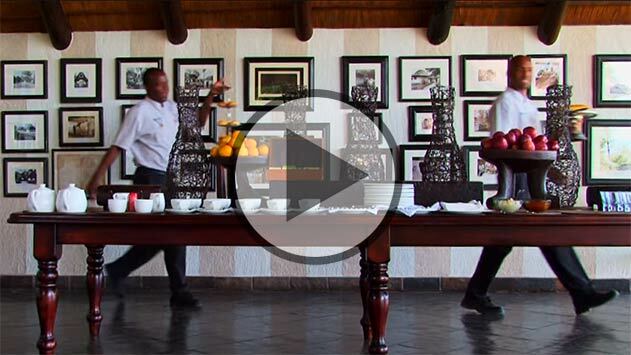 The history of the camp flows through the lounge; there is a bar and dining area, a massive deck with stunning views, a swimming pool, gym, kiddies club and spa. Activities at Londolozi Varty Camp include two game drives daily in the morning and afternoon, guided nature walks and one group yoga class per day. 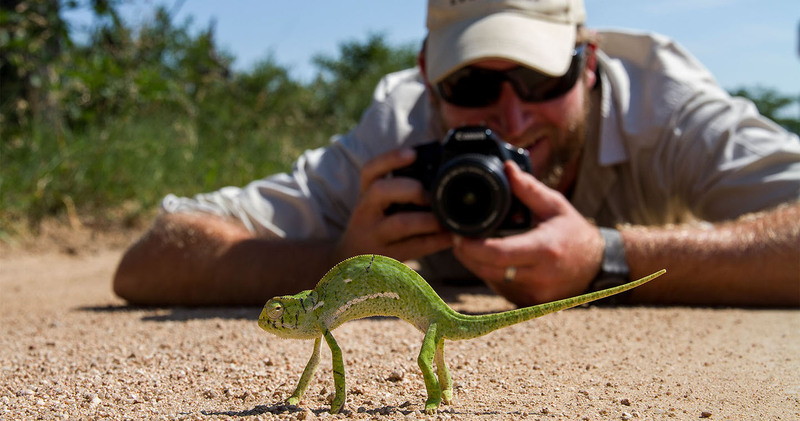 If you were to only have one safari experience in your life, make sure it is with Londolozi. The most enthusiastic, knowledgeable and fun rangers/staff you can imagine. They share this passion making you feel pampered yet comfortable. The rooms are brilliant, big, airy, private and detailed. The food was simple yet thoughtful and scrumptious. But the highlight is the game experience - you do see everything! The leopard sightings are unforgetable and the quite effort of the rangers and trackers to ensure you see these wonderful creatures is focused. I will definately want to revisit this peace of heaven again. I spent two nights at Varty Camp and it was a very special experience. My room was lovely but that is not what makes this place so amazing. The staff here are fantastic, friendly and great company. It is not a stuffy formal environment, which I prefer, and the service is first class. The public area is really what makes this camp and the views out over the bush while you have your meals is stunning. Our ranger Dean was great company and clearly has a passion for what he does. The game viewing was more than I could have hope for. For me the highlights were seeing leopard, cheetah, lions and a ground hornbill! The really great part of the game viewing here is that the leopards are used to people so they do not run away as soon as they see you. It means you get to see these beautiful animals up close which is a very rare thing. 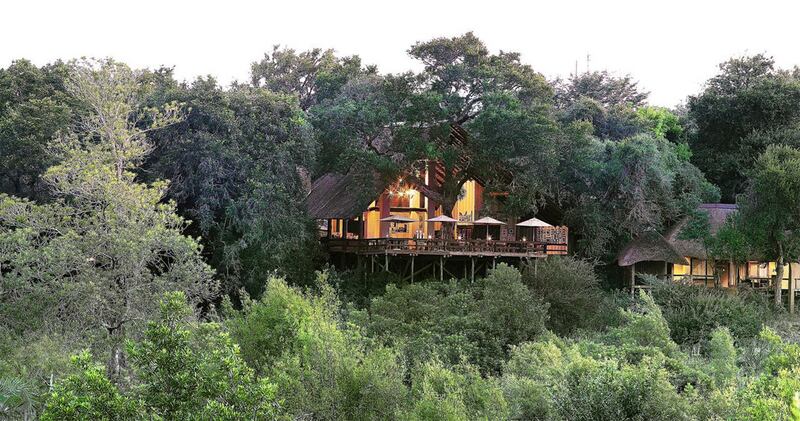 Varty Camp is the oldest of the Londolozi camps in the Sabi Sands. The original (hunting) camp was established in 1926 by the Varty family. Please note: Indicated price is for a 'Chalet' which is the most basic room available at Londolozi Varty Camp. A single supplement may be applicable. Read all about travelling to Londolozi Varty Camp on our getting to Sabi Sands page. Children over the age of four are welcome. Children four and five years are not be permitted on game drives, unless the family has sole use of a private vehicle, and it has to be pre-booked, or, they can join our Cubs Den Programme, which is included in the rate. Children 4 – 11 years pay 50% of adult rate. Children 12 and older pay adult rates. We hope you have found all information needed to decide that Londolozi Varty Camp in the Sabi Sands Game Reserve is the perfect place for your next travel adventure. Please fill in the contact form and we will get back to you soon!